Leo's War Blog Tour: Interview and Review! 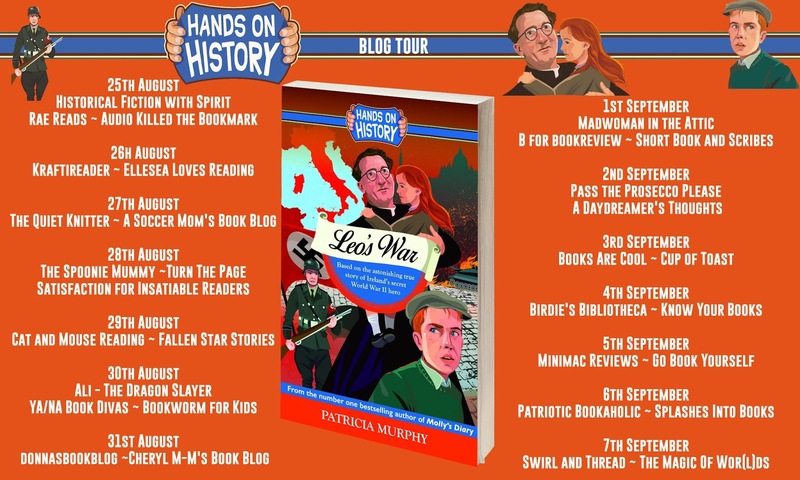 It's....the Leo's War Blog Tour! Hello, Patricia. Thank you for taking the time for this interview. Let’s start with a very basic question, but one I always find interesting. How long have you wanted to be a writer for young people? What got you started? -I think I have always wanted to be a writer. For me it was a natural extension of storytelling. I am the eldest of six and therefore was often left in charge of my younger siblings. I used to tell them stories to keep them amused. They were basically a captive audience and I soon found a joy in weaving tall tales. I was a sort of pint sized, bargain basement Scheherazade, except the audience were the prisoners! I had on-going family serials that I’d tell them every night. The “Woodbine Family” was a big favourite centering around a young inventor called Brains who came up with outlandish inventions and machines. Storytelling is almost a national pastime in Ireland. My grandparents were all great storytellers and I listened avidly to their stories about their childhood. My grandfather told stories about his time in the Fianna Boy Scouts during the War of Independence and running messages for the rebels. But also about his grandfather who was a Surgeon-Major in the British Army in India and his father who was a sailor who had known the Poet Laureate John Masefield training in the Merchant Navy. My grandmother Bridie too was an astonishing storyteller. She had a photographic memory and would weave vivid tales almost Joycean in their detail. She used to work in her grandmother’s little huckster shop in Ringsend. Everyone used to chat to her and tell her everything. Her grandmother had a reputation as a fortune-teller; reading tea leaves with an uncanny knowledge of everyone’s life history. I’m fairly sure it was because my granny got all the gossip and passed it on! 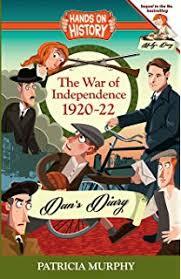 A lot of their stories found their way into both Molly’s Diary and particularly Dan’s Diary. 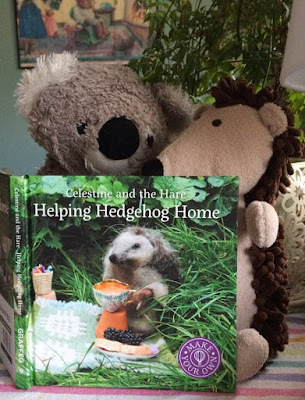 In terms of getting published, I continued the storytelling with my niece and nephews. I told my eldest niece Aoife a story about “The Chingles”. My sister encouraged me to write it down and when she saw a competition run by Poolbeg and RTE she was very keen for me to enter. I was lucky enough to win and I’m still going. Leo’s War is my seventh book. 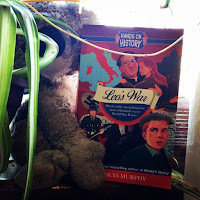 From the Chingles series through to the Hands on History books (and the Nutshell Library books), you focus on legends and history, so I have to ask….why historical fiction? 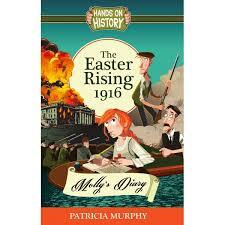 Do you feel there is something offered for children in historical fiction that they won’t find in other genres? 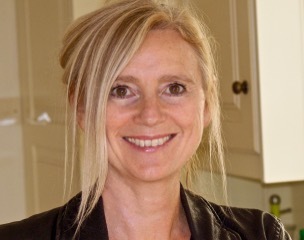 Do you find children a ‘tough audience’ when it comes to historical fiction? -I have a degree in history and English so historical fiction is an ideal genre for my interests. History is so interesting! So full of stories and drama. In a sense too all fiction is historical, even if it’s contemporary, some day it will be a period piece. Quite a few classic novels are technically historical fiction, War and Peace, even Ulysses. With the genre of historical fiction for children, you get a double whammy. An introduction to history as well as the other pay-offs of reading a novel. I think what you find in historical fiction as compared to other genres apart from the obvious introduction to the wonderful subject of the past, is an expansion of empathy but also an introduction to critical thinking and awareness that the only constant is change. For history is a window onto both the past and the future. “Those who cannot remember the past are condemned to repeat it”, as George Santanya said. History is all around us too. It’s part of the DNA of our culture. It’s not a coincidence that totalitarian regimes are the ones who always want to re-write the past and burn books, like Hitler or go back to Year Zero, like Pol Pot in Cambodia. Our shared cultural memory is our identity and contains valuable lessons and warnings. I often find too that children who aren’t that keen on other genres of fiction respond to historical fiction, including boys. They like the action and the fact that they are also learning something. That appeals to some kids. LB hiding out with Leo; he thinks he's in the Rome Escape Line! 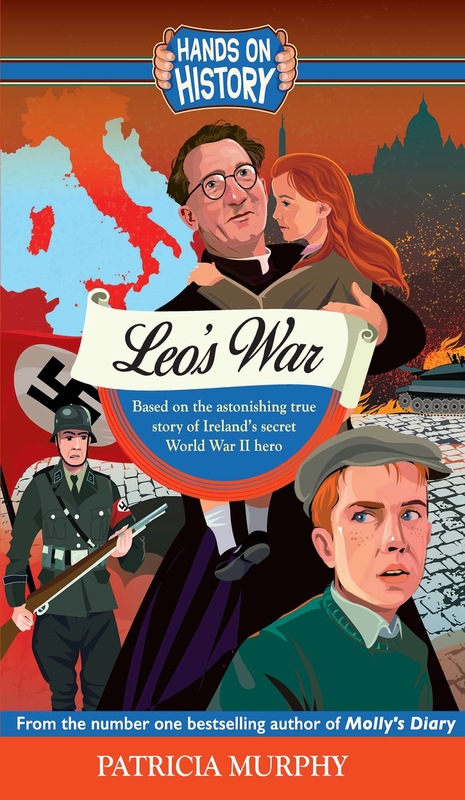 In Leo’s War, you are telling the story of Monsignor Hugh O’Flaherty in 1943 during the Nazi occupation of Italy. What is it about his story that you found so compelling? And tell us something about the research. -I was astonished to discover the scale of the rescue operation conducted by the Rome Escape Line. Led by Monsignor O’Flaherty, they saved at least six and a half thousand people right under the noses of the Nazis. The story has a lot of intrigue and jeopardy. The stakes were very high for the Monsignor. Other Italian priests were executed and five of his helpers were among the three hundred and thirty five dead at the Ardeatine Caves massacre. I also found the Monsignor a fascinating character. He was very high up in the church, a Prince really, of the Vatican. And yet here he was ducking and diving, playing cat and mouse with the Nazi regime. He took a completely moral stand and didn’t hesitate to help those in need, while others were more equivocal. He was a maverick, academically clever, with three doctorates and fluent German and Italian but had the common touch. He knew everyone from aristocrats to cleaners, lots of women were devoted to him. He must have had a roguish charm. He also reached across and co-operated with the British. All these tough as boots military men and society ladies adored him. It was his clarity too I found attractive. He knew right from wrong and acted accordingly, always standing up for the underdog. He absolutely stuck his neck out. He was incensed by the treatment of the Jews, he admired them. Kappler, the Nazi commander also had this obsession with him and the Monsignor rose to the duel. Then when Kappler was serving his sentence for war atrocities, the Monsignor was his only visitor ending up converting him. In terms of the research, I drew on as much primary research as I could. I was lucky that a lot of those involved in the Rome Escape Line wrote memoirs. I was able to draw on some other classic first hand accounts including a detailed diary by Mother Mary Saint Luke, a nun who worked at the Vatican Information Bureau and another by a Swiss Journalist, known as M. de Wyss, who lived there during the occupation. There were also Embassy dispatches and letters by many of the people in Rome caught up in the story. There were also some brilliant oral histories that had been translated, most notably The Order Has Been Carried Out by Alessandro Portelli. Many of the key historical studies of the period have been translated. I also read everything I could on the period including many novels, orthodox histories, and military history books, books about the pope. I got some help from Italian and German friends too when I needed some stuff translated. I am a bit of a magpie, picking up shiny bits of gold as I read. It’s a bit like Method acting – method writing if you like. Immersion in the period gives you the confidence to let rip with the story. But ultimately the research is just the compost for the novel. The story takes you under the facts, through the interpretations to try to get to the core of what if felt like to live through those turbulent times. Much of the research is sloughed off so the story can catch fire. The story is told through the eyes of a young boy, Leo; a fictional character. Where did you get the inspiration for Leo? What kinds of character traits and background were concerning you in his creation? Where did the other fictional characters come from? -There is a mysterious alchemy in creating a character. The whole story of the Monsignor didn’t come alive for me until I saw somewhere in my mind’s eye, an image of Leo and his sister Ruby trudging up the hill. They both had red hair and were fish out of water. Ruby was disabled, fragile, and otherworldly and Leo had a black eye. Then there was a process of finding out about him, what on earth were they doing in Italy in the war and what their background was. Michelangelo spoke about chipping away at the rock to uncover the statue within. I have a similar feeling with “birthing” a character. It often feels like I’m discovering them, they shimmer out of the mist. I guess they acquire traits of people I know too; they amalgamate into a whole other person. I knew immediately that Leo was obdurate, bloody-minded, not a conformer. He found the whole idea of priests and nuns anathema. His family was stranded in Italy, and this was not uncommon. The War caused massive displacement. I know of people with grandparents for example with widely disparate backgrounds, a Polish Jew and an Irish nurse, a French governess and an American G.I. who met and married in London during the war, just like Leo’s parents. I borrowed the details of Leo’s father’s Jewish family from a friend of mine, whose grandfather was in the “schmutter” business – selling cloth. My grandmother who lived in Shepherd’s Bush in London at one stage had many Jewish friends and it think some of that must have crept in. The protagonists, Leo, Ruby, and their mother are imaginary. Almost all the other characters were real people, some are composites. But Delia Murphy the Irish papal legate’s wife, the British ambassador and his butler, nearly all the escapees, Don Pietro the forger priest, were all real people. The challenge there is that they ring true. I try to reflect what is historically known about them. But the historical evidence is always partial, inferences have to be drawn, links made, which the novelist unlike the historian can do. My imagination fills in the gaps left by history. -It will be back to Irish history for the next one! The characters are beginning to dance in my head and a mound of research beckons. It will be a story with a lot of mystery on both sides of the Atlantic. I am actually really looking forward to getting stuck in. Thank you for your lovely questions Mary. I loved thinking about them and it challenges me to think about my work too! Told from the perspective of a 12-year-old boy, a ‘mongrel’ living in occupied Italy at the time, this novel is based on the incredible true story of Monsignor Hugh O’Flaherty; a man who saved over 6500 people during World War II. Italy, 1943. After his mother is arrested, young Leo flees to Rome in a bid to protect his disabled sister, Ruby and himself from the Nazis. He reaches sanctuary at the Vatican with Monsignor Hugh O’Flaherty in hopes of saving them. But this is no ordinary priest. Monsignor O’Flaherty is the famed organiser of the Rome Escape Line, secretly working to save those at high risk. Leo soon finds himself involved in the secret network, aiding escaped prisoners of war, the Jews and partisans escape Nazi brutality while never losing sight of his own plight. Now in grave danger himself, Leo must do all he can to outfox Kappler, sinister Nazi leader in Rome who is fast closing in on the Escape Line and the Monsignor. Can Leo escape Kappler and protect his family from falling victim to this evil man? With a fast-paced plot and expert storytelling, the reader is plunged into this bit of history feeling as if they are there. The story builds quickly, but carefully with great attention to the details of the reality of the times; the sights, sounds; the actions. So much seems incredible, impossible; yet history shows us it is real. Each character is fully crafted, whether real or fictitious and blending of the two is perfectly seamless. Leo stands out as a typical young man; feisty, sometimes impractical, afraid and frustrated; but he is courageous and willing to put himself on the line as he faces much of his own misinformation and uncertainty. This is a whirlwind tale of survival and hope, dotted with bits of humour and joy, as well as grave peril. It is great to see more stories emerging about pieces of history that are sometimes overshadowed and don’t get their due attention. Young readers will be completely captivated by this novel. Compelling, thought-provoking and moving. Good morning everyone. Just to give you a quick heads-up, starting on the 25th of August, there will be a wonderful blog tour featuring the newest addition to the Hands On History series published by Poolbeg Press. Leo's War by Patricia Murphy is the incredible story based on the activities of Monsignor Hugh O'Flaherty (also known as "The Pimpernel of the Vatican") and the Rome Escape Line during the Nazi occupation of Italy in WWII. Our hero is a young Irish boy, Leo, living in Italy at the time. When his mother is taken by the Nazis, Leo finds himself hiding out in the Vatican, under the protection of Monsignor O'Flaherty and quickly becomes ensconced in daring, sometimes deadly efforts to escape the Nazis' horrific regime. But enough! Don't want to spoil to the tour for anyone! As you can see, there are quite a number of exciting blog events happening around this exciting new book. 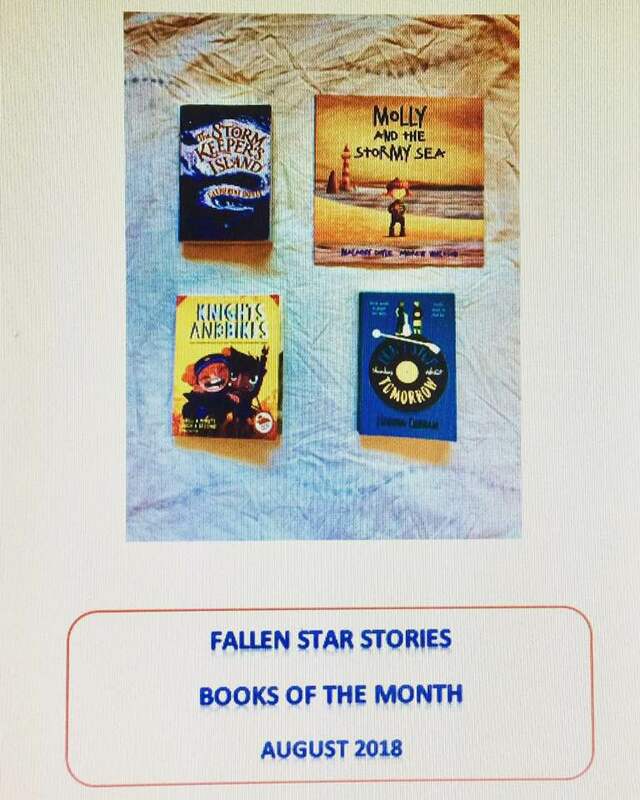 Fallen Star Stories' offering, a review of Leo's War and an interview with Patricia Murphy about the book and writing historical fiction for young people will appear on 29th August. I want to thank Patricia and Poolbeg Press in advance for asking me to be part of this blog tour. It is a unique opportunity to work in concert with so many fantastic bloggers and get to see the unique perspectives they bring. So join me then...and join us all! Today marks the 104th birthday of Tove Jansson; Swedish-speaking Finnish author, novelist, artist, illustrator, comic strip author and creator of the Moomins. The first Moomin book, The Moomins and the Great Flood was published during World War II in 1945. Jansson said the war depressed her a great deal and she wanted something innocent and joyful. While The Moomins and the Great Flood practically escaped all notice, her second Moomin book, Comet in Moominland was published in 1946, followed by Finn Family Moomintroll in 1948, which sold well and gathered critical acclaim, making her famous. Jansson published 6 more Moomin books, as well as a number of picture books and comics. In 1966, she was awarded the Hans Christian Andersen Award for Writing. By this time, in parts of the world, Moomins were a household name. So...what are Moomins? Well, they are a family of troll-type creatures, generally speaking furry and snow-white in appearance; round and cuddly (if you know them well enough), with a large snout and they look vaguely like a hippopotamus. They are generally quite naive, but also philosophical. The stories take the reader on quite a variety of adventures that find them fleeing a great wave after the eruption of the local volcano; hunkering down to protect themselves from an oncoming comet, encountering a number of supernatural events and generally trying to understand and work with the world they live in. 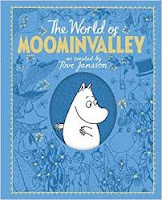 If you are a big Moomin fan already, or are suitably intrigued and want to know more about the Moomins, all their friends and relations and Tove Jansson herself, I can highly recommend The World of Moominvalley by Philip Ardagh (Moomin aficionado and fabulous kids writer, himself.) 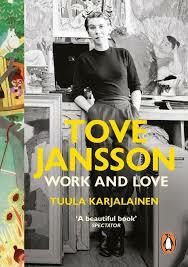 For the grown-ups in the audience, there is an excellent biography entitled Tove Jansson: Work and Love, written by Tuula Karjalainen. When Tove Jansson passed away in 2001, she left a truly stunning legacy behind for us all. Haven't read the Moomins, yet? I really think you should correct that situation ASAP! 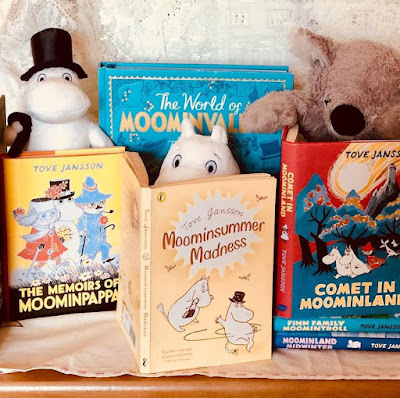 Get yourself down to the bookshop and select a Moomin book; Finn Family Moomintroll, Comet in Moominland, Moominsummer Madness, Tales From Moominvalley.... just pick one. You'll be hooked. Happy Moomin-Day!!! And thank you, Tove Jansson...wherever you are. For so many years, I was involved in choosing a "Book of the Month"; books that are deemed must-reads among the many released every month. It was always a very difficult choice to make, but much appreciated by customers who didn't really know what to choose. I asked myself, why not do this on Fallen Star Stories? For August 2018, here are my choices; The Storm Keepers Island by Catherine Doyle, published by Bloomsbury Childrens Books; Molly and the Stormy Sea by Malachy Doyle, illustrations by Andrew Whitson, published by Graffeg Limited; Knights and Bikes by Gabrielle Kent, illustrated by Rex Crowle& Luke Newell, published by Knights Of... and Don't Stop Thinking About Tomorrow by Siobhan Curham, published by Walker Books. All of these are new out this summer and are reviewed on the review pages of this blog.